Today the folks at Plugivery are very proud and excited to announce the launch of Nomad Factory’s new product, Analog Studio Rack. This one is the third Nomad Factory plug-in launched, since Plugivery acquired the brand following Bernie Torelli’s sad passing in January 2016. Analog Studio Rack was Bernie’s baby and he would have been so proud to see how Plugivery’s young while talented developers managed to solve many technical issues involved in the way this plug-in has been designed. Bernie initiated the development of Analog Studio Rack over 3 years ago, designing it for his personal use as a professional producer and sound engineer. He wanted something more flexible than the channel strips found on the market to-date, those for most only offer a fixed path structure for each module they contain. He wanted to create the "ULTIMATE ANALOG CHANNEL STRIP PLUG-IN" that can be quickly loaded on any track from voices to bass, drums, keys, percussion or any other instrument, and set-up the pre-amp and modules with the ideal position and signal path for each instrument(s) needs.
" Perhaps the most versatile all-in-one Analog Channel Strip plug-in ever released? " AS - Preamp, is your tonal colouration box. Saturate your music, increase the warmth and drive the circuit for some sweet flavors. AS - Gate Expander, inspired by a famous British console brings the control to your tracks! Slice, dice noise and low-end rumble, expand your sound to punch through the mix. AS - Comp Limit, inspired by a famous British console brings the colored control to your individual tracks. AS - Exciter, inspired by a classic maximizer you may know, breathes added life to your tracks. AS - State EQ inspired by a famous British console brings the color of the E and G series to your fingertips. AS - Pulse EQ, inspired by the classic and famous "Holy Grail" blue hardware rack unit EQ from the mid-50's brings balanced analog curves to your audio. AS - Bus Comp, inspired by a famous British console brings the punch and glue to your mixes. 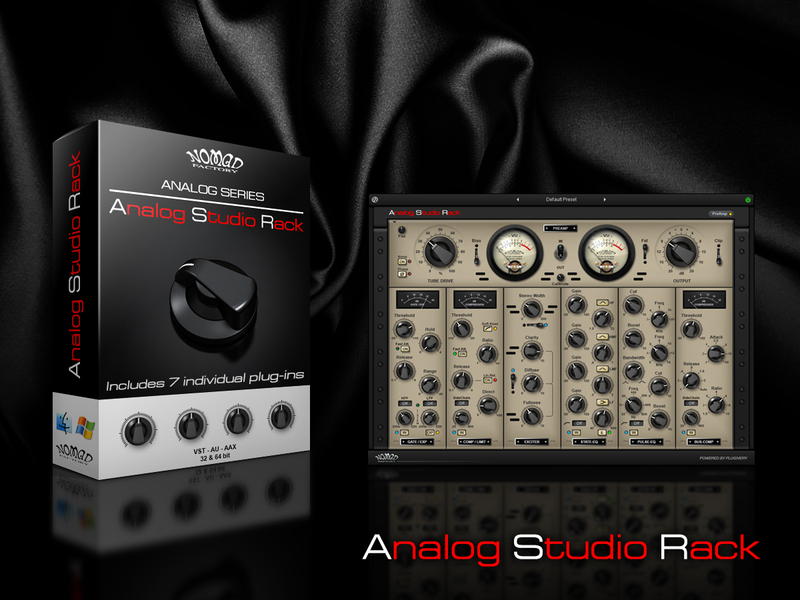 Nomad Factory's Analog Studio Rack (including all 7 Individual Modules as separate plug-ins) is available now through all reputable/pro audio Plugivery Dealers.
" Drag and Drop Modules to create a custom signal chain "
Are these new code models or have they simply updated some previous ones to work in the new rack module? I like the plugins a lot! All of them especially the Pulsetec. its great! Fell in love with all the Plugins (got ISP 3 and Garbage).  Well I hope the company is still running and I would love to see the "old" plugins refurbished. I'm a big fan now and will support of course.